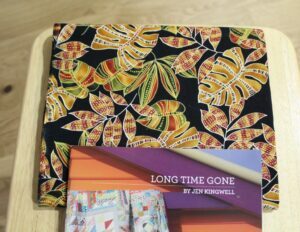 Week three and I am keeping up with the Long Time Gone sewalong. 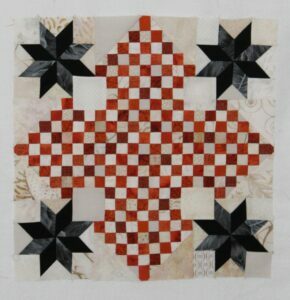 This week is six Crosses of the U.K. blocks. 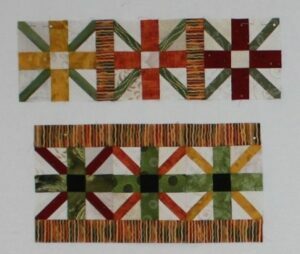 I am using a striped fabric for the sashing and adding it to the blocks as they are made. 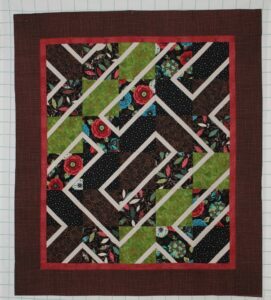 The pattern directions also use the sashing fabric for checkerboard panels, but I plan to use the light beige fabric instead. 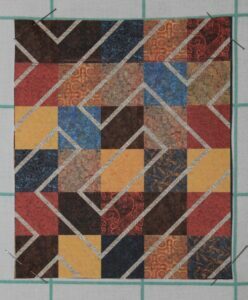 The burnt orange Lincoln block was finished today – three more blocks left to make! 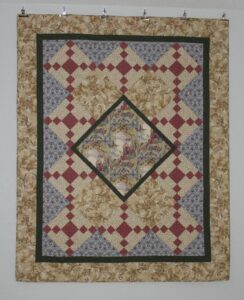 The setting triangles will be the next part added to this project. 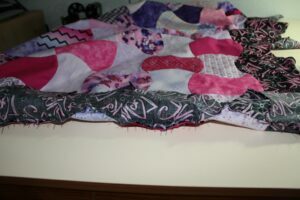 My middle daughter found me a tag that reads “This took forever” to put on the back of this quilt – sometimes it does feel like it has been forever. 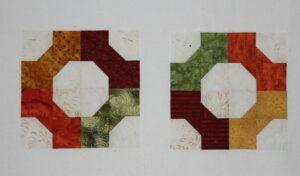 Between the Lincoln quilt and Long Time Gone, the leader/ender blocks are almost finished – only six more to go. 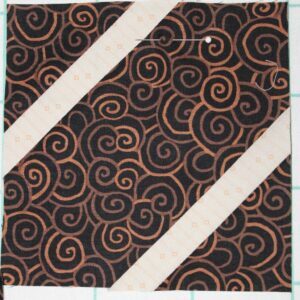 I found some fabric for the inner and outer border that I hope will work. 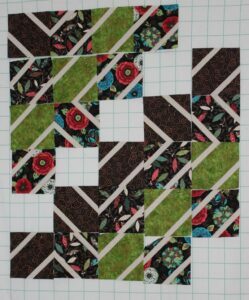 The first four blocks in the top row are sewn together. 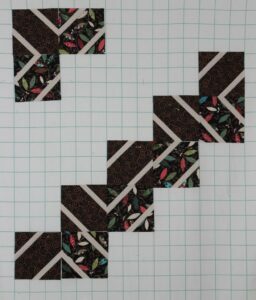 I wanted to see if it was going to be tricky to get the light strips matching correctly, but everything went together smoothly. 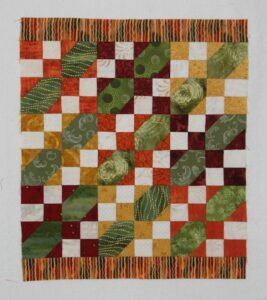 Since the weather channel predicts some snow for this weekend, the plan is to machine quilt the Apple Core quilt. 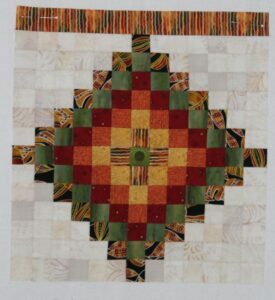 The last border in the Apple Core quilt was attached today. 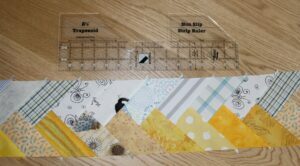 Right now it measures 47″ x 56″, but it will be smaller once the edges are cut straight. 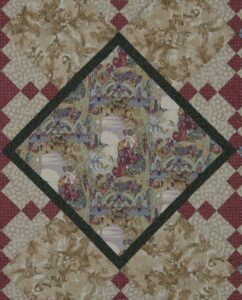 I think it took two or three times longer to pin the borders than it did to sew them. 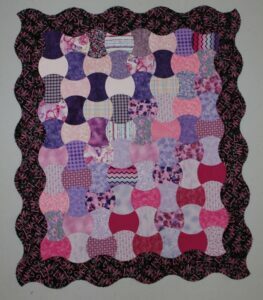 This was the best picture I could get of the pinned border. Doesn’t it look so strange? 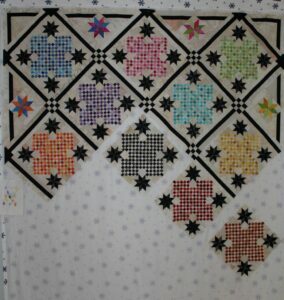 While sewing on the Apple Core quilt top I also started a new leader/ender project. 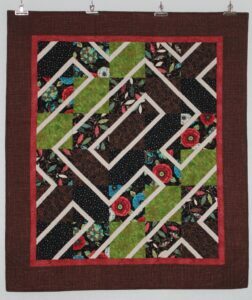 The pattern is the Hemingway Quilt from Timeless Treasures and designed by Osie Lebowitz. 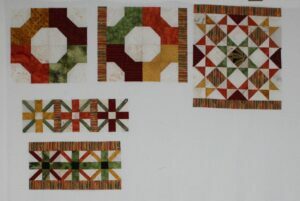 It is not on their website which isn’t a surprise since my printed directions are dated 2014. 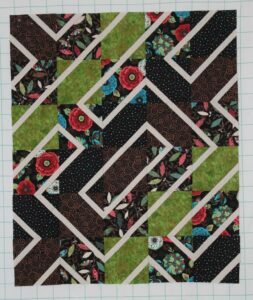 The pattern calls for 10 1/2″ fabric squares, but I am using 6 1/2″ squares instead. 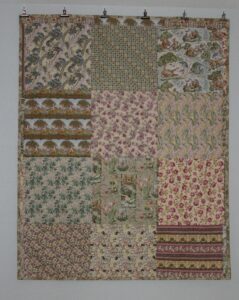 I found 30 squares (6 squares of 5 different fabrics) in my stash which will make a fun fast quilt.